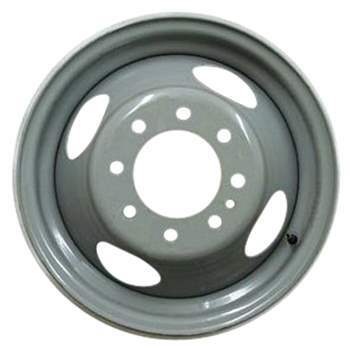 This is a 4 Slot 16x6 Inch, 8x6.5 Bolt Pattern, One Piece Steel Wheel, Rim. The position on the vehicle is Universal. DRW (Dual Rear Wheel) models. Interchange Number is 1620. Manufacturer Part Number is 9593148; 15668598; 9591761; 14035381. Identification Stamp Number is GBJ; GBK; GBR; GBS; GBW; GBX; GBZ; GWX; RCN; RDK; RSA; TBR; TBS; AF; FR; RAR; YW; ZX; ZZ. Our company is not affliliated with General Motors. All trademarks mentioned herein belong to their respective owners.